Spatial Concept developed the mature and thoughtful office design for international law firm, INCE & Co, located in Singapore. With the success of the Hong Kong project, INCE & Co appointed Spatial Concept when they decided to relocate their Singapore office. 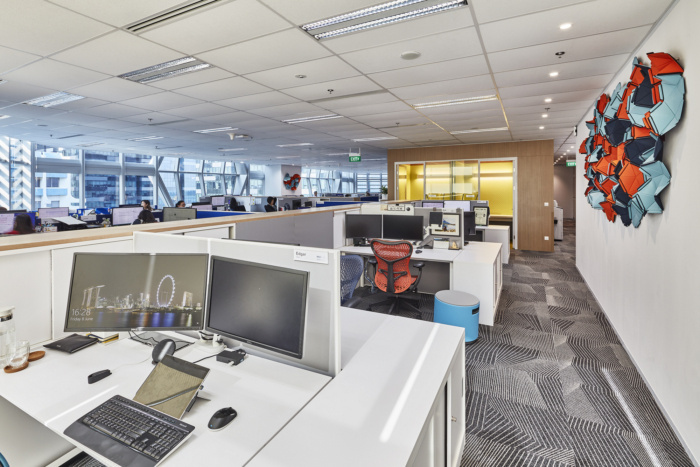 Taken the lesson learned from the Hong Kong project, Singapore office has developed a mature and thoughtful design solution for a 100% open plan and agile ready law firm. The reception feels airy with the timber flooring carries a warm and welcoming interior. The end wall is a custom design ‘see-through’ bookcase doubles as the separation between reception and meeting room. The staff pantry is designed as a social spot, a vibrant interior with plants around the column. staff can enjoy a coffee break at the soft seating area or host informal meetings inside one of the semi-enclosed booths. 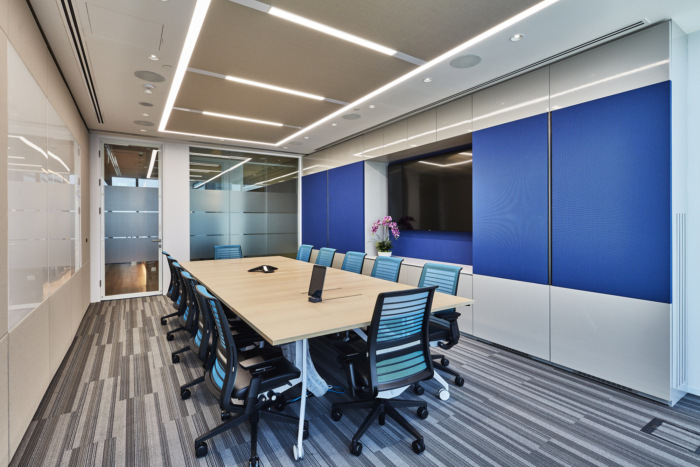 In the office area, large acoustic wall panels are displayed throughout, not only providing better acoustics in the open plan office but also create visual impact. To support the agile ready workplace, various work-points and collaboration areas are provided, those areas are colour coded for easy wayfinding. 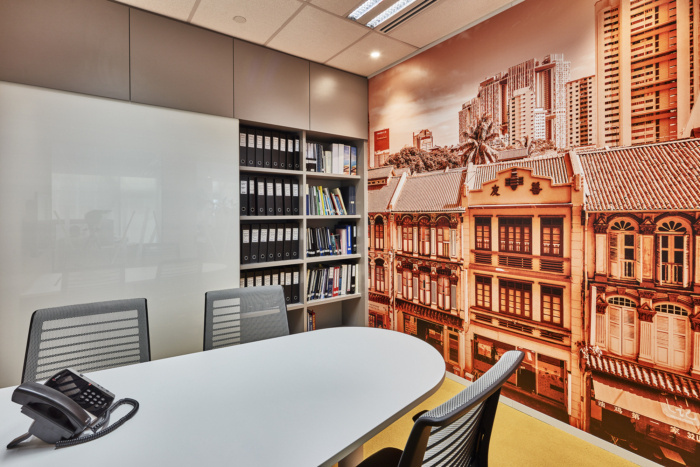 To celebrate the local culture, each of the internal meeting rooms featuring Singapore’s city landmarks, creating a unique workplace yet keeping the INCE’s DNA from the Hong Kong & London office.